An Arktika-class nuclear-powered icebreaker is to return into service after five years of waiting for decommissioning. The Sovetsky Soyuz, will replace the Rossiya icebreaker, which needs to have its reactor fuel replenished, and will operate in the Kara Sea and the Gulf of Ob in the Russian Arctic. Before the end of the year, the Soviet Union will replace Russia. 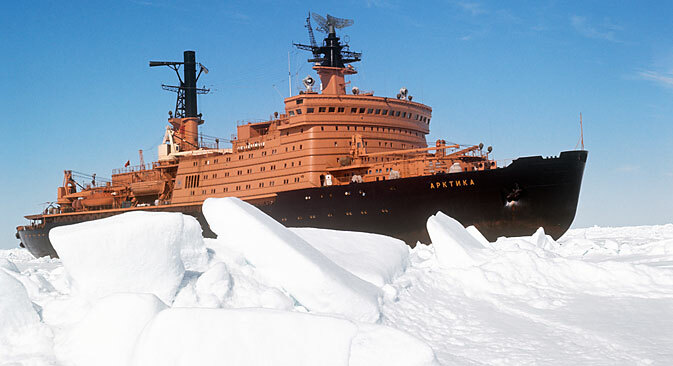 This is not an announcement of an impending coup or change of political line, although the move does involve giants, albeit not geopolitical but marine ones: Soviet-era nuclear-powered icebreakers of the Arktika-class. Arktika-class nuclear icebreakers are auxiliary vessels with two nuclear reactors onboard and a displacement of half an aircraft carrier. The icebreaker Sovetsky Soyuz came into service just two years before the country that gave it life and its name ceased to exist. It was the third ship in the series. Unlike its illustrious predecessors, which became the first ships to reach the North Pole, the Sovetsky Soyuz led a quiet life, carrying wealthy foreigners on their tourist voyages to the Arctic. In the early 2000s, it was used as a floating power plant, with its reactors generating electricity for various coastal facilities in Murmansk. Then there were several more scientific expeditions, after which the giant ship spent five years laid up. Now the icebreaker is in demand again. It has been announced that for at least eight more years the Sovetsky Soyuz will be used to help ships navigate along the increasingly more popular Northern Sea Route, which – due to melting ice – has over the past three years seen a 15-fold rise in cargo traffic (from 100,000 tons in 2010 to 1.5 million tons in 2013). Furthermore, the Northern Sea Route is shorter than routes running through southern latitudes; is safer since there are no pirates; and is therefore economically more efficient. The refurbishment of the Sovetsky Soyuz is due to be completed by the end of this year. It will replace the nuclear icebreaker Rossiya, which needs to have its reactor fuel refilled. Part of Rossiya’s crew have already transferred to the Sovetsky Soyuz and are busy doing repairs there. The service life of its reactor has been extended to 150,000 hours. The Rosatomflot company, which owns all nuclear-powered icebreakers in Russia, has already outlined the tasks for the Sovetsky Soyuz, which will be on duty in the Kara Sea and in the Gulf of Ob, where, it will become part of the Yamal LNG megaproject in the new port of Sabetta, accompanying tankers carrying gas condensate. Thus, out of the six Arktika-class icebreakers, soon only three will remain in service: Yamal, 50 Let Pobedy, and Sovetsky Soyuz. These gigantic ships with a length of up to 150 meters and a crew of 138 people were the most powerful ships in the world when the first of them was built in 1972. These icebreakers were built as dual-purpose ships: It was envisaged that they could be quickly converted into military auxiliary cruisers. They have fire-control radars and a dedicated section for installing artillery weapons. Part of the relevant equipment is mothballed onboard and part is kept in shore depots. Extending the service life of the Arktika-class icebreakers will give shipbuilders more time to create icebreakers of the new, LK-60, type. St. Petersburg’s Baltiysky Zavod shipyard will build three new ships for Atomflot, due to come into service after 2020.